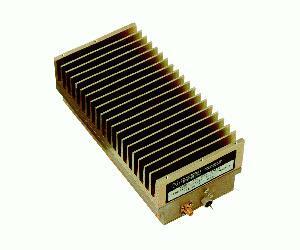 Standard amplifier products meet most LNA & HPA communication band needs, from 100KHz to 40GHz, or custom designed products to meet your exact needs - low noise and high power, spot frequency or broadband. Quality procedures are in accordance with our ISO9001 registration, we also meet Mil-Specs. Designs are normally based on LDMOS, GaAs FET discrete devices or MMICs. Amplifiers are available modular or instrument case, configured for VDC or VAC operation.Amplifiers are unconditionally stable, are protected against reverse power being applied, and the RF Output is normally isolator protected against adverse load conditions.GPIB INTERFACE (IEEE 488) AND BITE CIRCUITRY CAN BE PROVIDED TO MEET LNA & HPA TEST AND SYSTEM REQUIREMENTS.